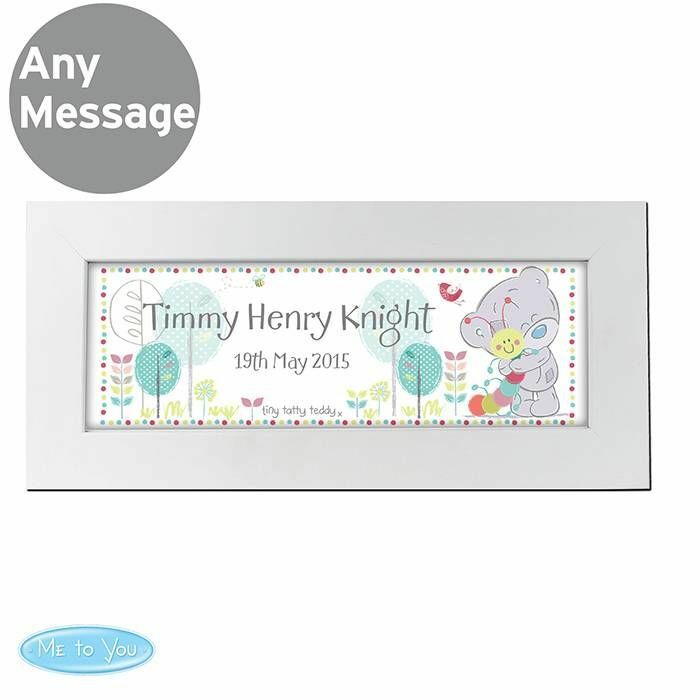 A gorgeous Personalised Tiny Tatty Teddy Name Frame suitable for either a Girl or Boy. 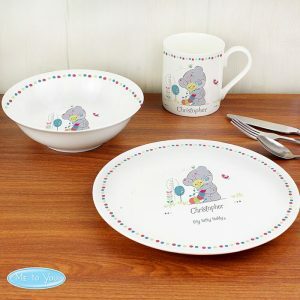 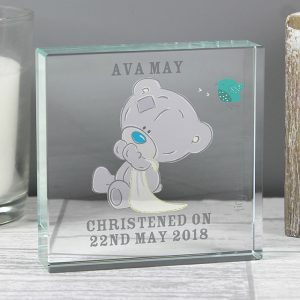 This name frame is so cute and features the famous tatty teddy we all know and love snuggling up to his caterpillar friend. A frame to make personal and one that will be a great keepsake for many a year to come. 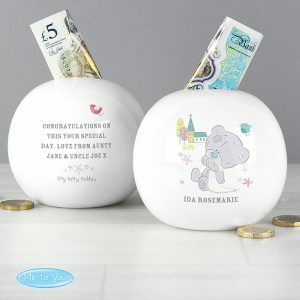 To personalise simply add 2 lines of message using 20 characters for each line, all personalisation is case sensitive and will appear as entered by you. 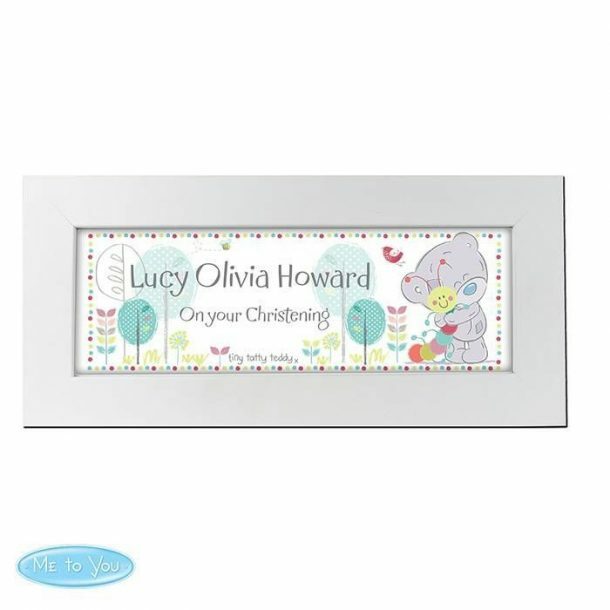 Once complete we will mount and frame the piece in a large white wood frame, ready to hang on the nursery wall. The approx measurements are 16.2 x 35.5 x 2 cm and this cute name frame will be a fantastic gift for a new baby, Christening or Birthday present idea. 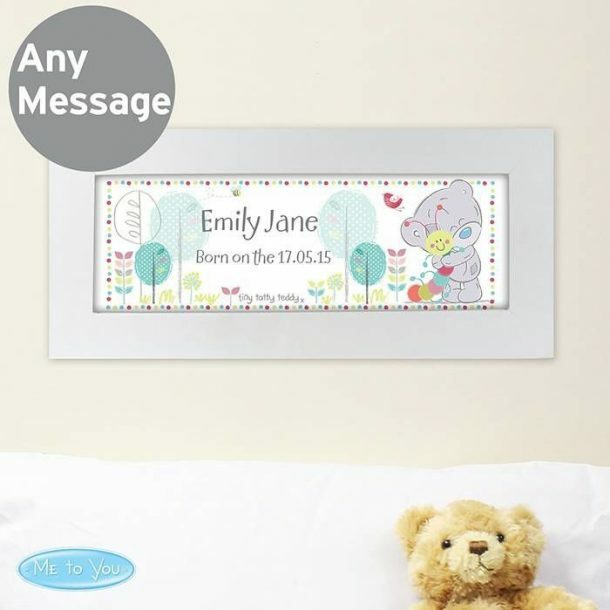 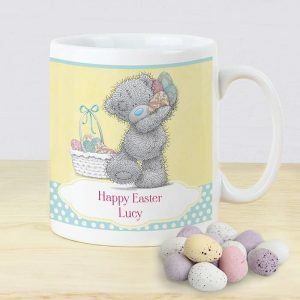 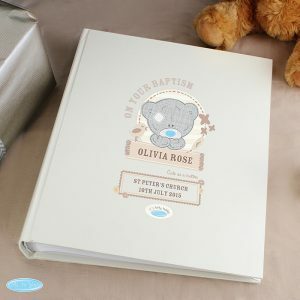 Personalised gifts make memorable keepsakes.